The City of Twentynine Palms, California, in the southern Mojave Desert, is the home of Joshua Tree National Park headquarters and north entrance, and is a gateway to the Mojave National Preserve, Mojave Desert Wilderness areas, and the new Castle Mountains National Monument. President Barack Obama signed a Presidential Proclamation in February 2016 creating the Castle Mountains National Monument. Nestled against the border with Nevada and bounded on three sides by Mojave National Preserve, the 20,920-acre National Monument provides serenity, solitude, natural soundscapes, and dark night skies. Castle Mountains National Monument protects an expanse of relatively intact desert ecosystem. It provides a variety of opportunities for the public to explore and enjoy including hiking, backpacking, wildlife viewing, scenic driving, as well as opportunities for solitude and personal discovery. An integral piece of the eastern Mojave Desert, the monument is home to important flora, fauna, water, and historic resources. The Castle Mountains contain resident populations of, and migratory corridors for, desert bighorn sheep and other fauna. It has some of the finest Joshua tree forest and native desert grassland in the Mojave Desert. 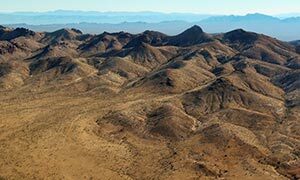 It also completes the protection of the 226-square-mile Lanfair Valley watershed, shielding an aquifer that is critical to life in the desert ecosystem both within the area and Mojave National Preserve. Prehistoric rock art and archeological sites are found throughout the area, typically associated with travel corridors and resources which demonstrate the long-term significance of the Castle Mountains area for prehistoric inhabitants. 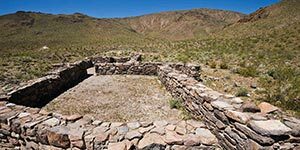 After the Native Americans, cattle ranchers and gold miners left their cultural footprint in the monument, including wagon train roads, cattle corrals, watering troughs, remnants of gold mines and the gold mining ghost town of Hart.